L. Setaria italica, Eng. 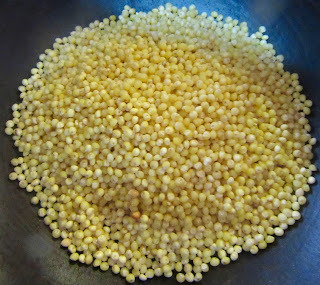 foxtail millet. It was cultivated in Asia, India and Indonesia by 6,000 B.C. at the latest and in Europe for the last 3,000 years. The plant has dense cylindrical, bristly flower clusters, resembling fox tails, and flat leaf blades. The seeds are small and pointed. When ground into flour, they become almost black. It is the only plant of its species with edible seeds. It is planted in March or April. As it grows, it is cut two or three times and new shoots appear. Today it is used as bird fed but in Medieval times it was feed to livestock as well. During famine, Spanish Christians and Hispano-Muslims made bread with it. When justifying the expulsion of the Moors from Spain in 1612 Father P. Aznar de Cardon wrote that Moors were different because they ate millet, see pan de mijo. 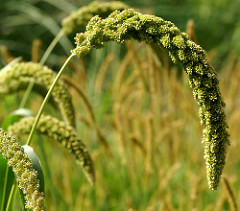 Foxtail millet is confused with proso millet. 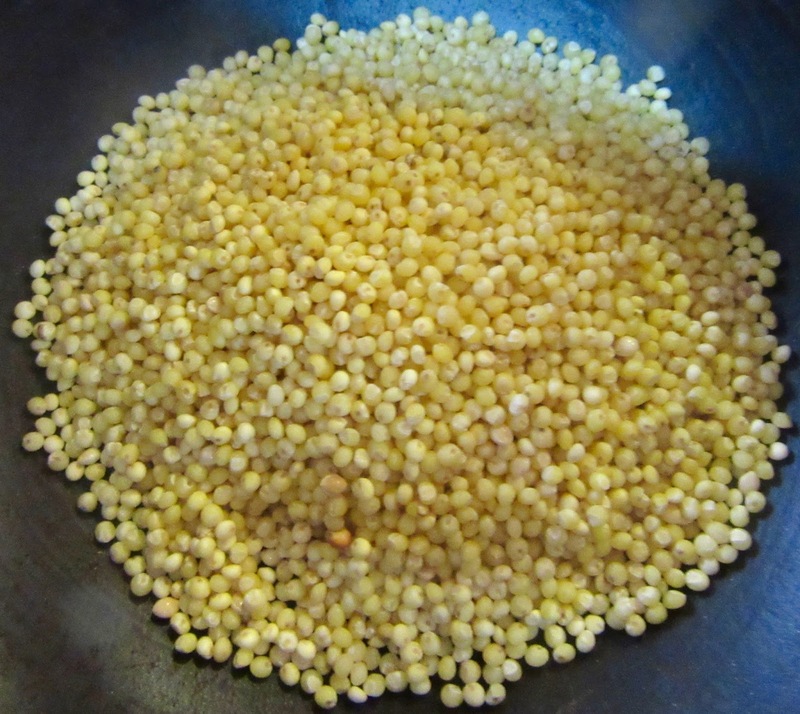 All millets are referred to as “corn crops,” which misleads one to believe that American corn existed in Europe during the Middle Ages. Corn crops are not maize containing kernels but cereals or the grain of a cereal plant. They also include wheat and barley. See panizo. Preheat olive oil in a frying pan. Take flour and, little by little, work in water to make dough by hand. Make a very thin circular disc with the dough. Sprinkle with sesame seeds and ground anise. Fry immediately. When brown underneath turn over and brown the other side. Continue making pieces of bread one by one and frying immediately to prevent the dough from crumbling or cracking. This does take practice. The recipe states that the bread can be baked. The Medieval Spanish Chef's attempt resulted in bread as hard as rocks! 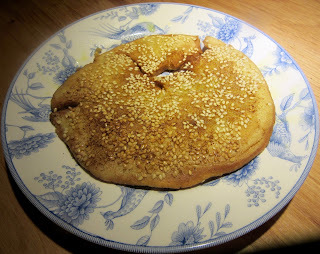 This appears to be Bajri No Rotlo, an Indian flat bread. The difference is the Medieval Spanish Chef’s lack of experience in making it by hand.